This week’s column is adapted from the Archbishop’s July 2 remarks to the breakout session he chaired (“Growing Isolation in America: Individualism and Indifference”) at Orlando’s national Convocation of Catholic Leaders. We human beings are happiest when we believe in a task and share it with people we love and respect. So our time together here in Orlando matters, and I hope all of you will share your thoughts energetically when we get to our group conversation. Back in the year 2000, the Harvard scholar Robert Putnam wrote a book called “Bowling Alone: The Collapse and Revival of American Community.” It was a huge bestseller. In his text, Putnam argued that over the last six decades, Americans have become more and more isolated from each other. We’ve also become more and more disconnected from our families, friends, churches and neighbors. As a result, he said, America’s social fabric is unraveling. We have plenty of material success. But more and more of us struggle with anxiety, frustration and loneliness. It was a pretty bleak portrait of American life. So bleak that in 2003 Putnam wrote another book, a sequel called “Better Together: Restoring the American Community,” with a lot of good ideas about how to fix our problems. Clearly too few of us listened. Because in 2017 — 14 years later — we’re still a people with deep feelings of isolation and division. And our politics are a perfect snapshot of our resentments and confusion. What I hope we can do today is two things. I hope we can name some of the reasons why and how we got to where we are. And I hope we can identify some of the things we can do together as a Church to rebuild our common life — at least within our own believing community. So let me offer just a few thoughts before our panel joins the conversation. From the start, our country has been a mixed marriage of biblical and Enlightenment thought. Our moral roots are Protestant. What that means is this. In the mind of America’s Founders, each of us has a unique personal dignity. That dignity can’t be lost or taken away. It’s guaranteed by an Authority higher than the state. In other words, it’s guaranteed by our Creator. The individual human person is the building block of American political thought. As a result, Americans have always put a heavy emphasis on the importance of individual conscience, individual rights and individual responsibility. And these are very good things. Together they form a kind of tripod that supports our shared public life with a high degree of personal freedom and opportunity. But if we take away any one of those legs from the tripod, the whole structure starts to collapse. If a Creator doesn’t exist, or if people stop believing in a God who takes an active interest in human affairs, then the purpose and duties that define us as human beings become confused. Here’s my point. A common belief in the God of the Bible shaped our national conscience and sense of responsibility for 200 years. Even when we sinned as a nation through racism or wrongful wars, we couldn’t escape the judgment of that commonly held moral framework. As the religious faith of Americans weakens, two of the commonly shared legs of the tripod I described begin to fracture – i.e., conscience and responsibility. Our sense of individual rights becomes exaggerated. It gets mixed up with our personal appetites. And if we combine that confusion with an economy that depends on creating new needs and new desires in all of us for new things to buy, then what results is a population of self-absorbed consumers who are ignorant of, or indifferent to, or in conflict with, everyone else. Democracy has many great strengths. But it also tends to ensure the rights of the individual by separating individuals from each other. By its nature, and without the glue of commonly held religious beliefs and purpose, simple democracy gradually breaks down the bonds that obligate people to one another – including even the bonds of church communities and families. We’re not here today to make a political revolution. And politics are never a really satisfying meal for the soul. As Augustine said so long ago, our hearts will always be restless until they rest in God. So again, my question for all of us today is: What practical things can we do for and with each other as Christians to rebuild a sense of community in our parishes, our dioceses and in our nation? 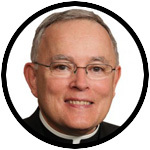 Archbishop Chaput’s book “Strangers in a Strange Land: Living the Catholic Faith in a Post-Christian World,” is available from Amazon.com and Barnesandnoble.com, in hardback, Kindle and audio formats. which also have a significant poor population. I think we have to remember that poverty can also mean spiritual poverty. Reaching out to others to share our spiritual wealth or to help us with our spiritual poverty is needed to sustain a spiritual community. The same for our physical community. We build that community by patient listening and the small acts that reinforce the common good we share such as holding a door for others or holding our tongues if slighted in a minor way.